I recently decided that I wanted to add some savings calculators to my other website, Official Coupon Code. It’s built on WordPress (even though it doesn’t look like it!) so I looked for some tools that I could use to whip up some calculators and stumbled upon Calculoid. Their tool was relatively easy to use, but I’d suggest building your own calculators from scratch. I tried starting with one of the prebuilt ones, and the formula was wrong. One other piece of advice is to build your more complex formulas in Excel and then put them into Calculoid, versus trying to get it working in their tool to start. They offer various packages ranging from free with a limited # of views to more robust high-volume packages. I decided to start with Free until I see how many people are using the calculators, and then I’ll upgrade. Note that with the free version, you’ll have to link back to Calculoid. I’m still looking into how Google sees their calculators on my site, and it looks like the calculator may not be rendering properly for spiders (though this seems silly since their embedded link wouldn’t help them with SEO). This may mean that their tool isn’t going to work as a long term solution for me, but it’s certainly viable as a proof of concept. Just in case it was a fluke, I decided to build a link to my site into the calculators – this way if someone decides to use one of my public calculators, it should help my site out with SEO. When I implemented the calculators on my site, I simply hid the title and description (where the link is included) so that it doesn’t look silly. Overall, the tool is easy to use and flexible. 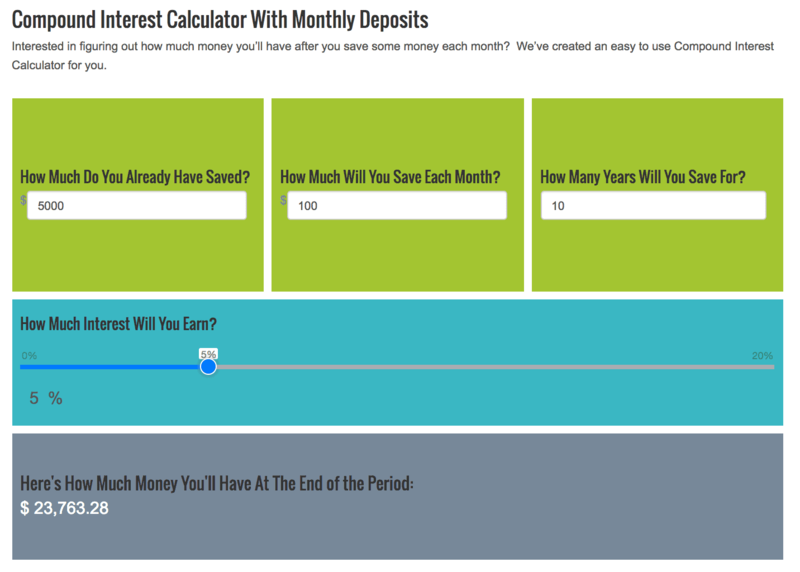 Certainly worth a test if you need to build calculators for your site. They offer a wordpress plugin but I skipped it and just popped their code into one of my pages.